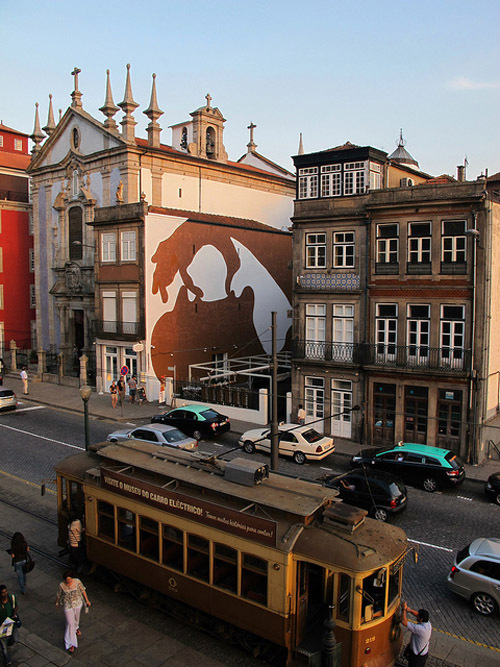 Known for his massive scale silhouettes on city walls, Spanish street artist Sam3 has works in cities from Madrid to Lisbon, Cologne to Buenos Aires and even San Francisco, to name a few. 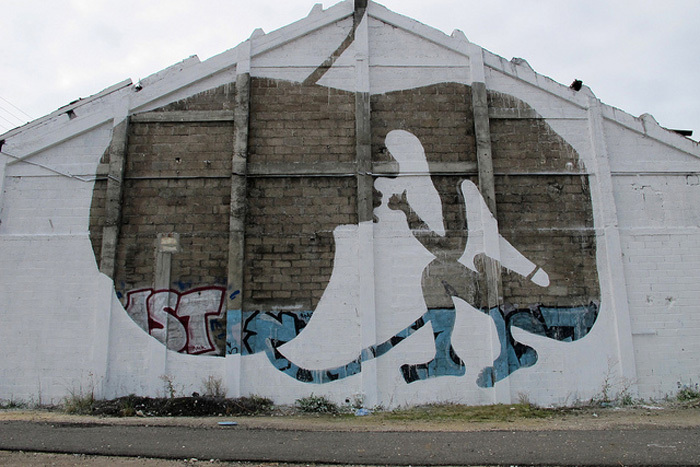 I especially love the inverted silhouettes — I can’t believe there isn’t more of that in other street artists’ work. Also, the way he integrates the building façade in many of these (see third photo from top) is so clever and effective. You can see more of Sam3’s work on his site, blog, and this flickr pool. the third image is from Lisbon, Portugal. 1st and 8th are in Besançon, France !